We are delighted to release The DDD Manifesto as an outcome of the 2014 Doing Development Differently (DDD) workshop. In late October, a group of about 40 development professionals, implementers and funders from around the world attended the DDD workshop, to share examples where real change has been achieved. These examples employ different tools but generally hold to some of the same core principles: being problem driven, iterative with lots of learning, and engaging teams and coalitions, often producing hybrid solutions that are ‘fit to context’ and politically smart. The two-day workshop was an opportunity to share practical lessons and insights, country experience, and to experiment first hand with selected methodologies and design thinking. In order to maximize the opportunity to hear from as many people as possible, all presenters were asked to prepare a 7:30 minute talk — with no powerpoints or visual accompaniments. The workshop alone generated a rich set of cases and examples of what doing development differently looks like, available on both Harvard and ODI websites (where you can watch individual talks, see the posters or link to related reports). 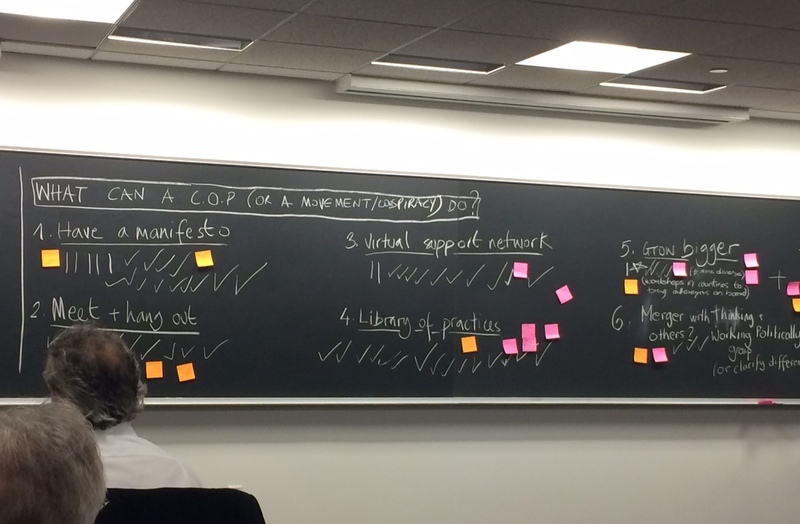 The aim of the event was to build a shared community of practice, and to crystallize what we are learning about doing development differently from practical experience. The workshop ended with a strong call for developing a manifesto reflecting the common principles that cut across the cases that were presented. Watch the closing remarks here. These common principles have been synthesized into The DDD Manifesto. We recognize that many of these principles are not new, but we do feel the need to clearly identify principles and to state that we believe that development initiatives will have more impact if these are followed. As an emerging community of practice, we welcome you to join us by adding your name in the comment box of the manifesto. I think it will be very illuminating and actual life changing if the people at the helm of our affairs apply the principles outlined at the sumit. Please send me the link. This is quite interesting, innovative and a must read for anyone interested in doing things differently and thinking outside the box. Sounds fantastic – I’m in! Nigeria and world at large needs such innovative moves! Amirul Shahnoel LKY Fellow – for Science Technology domain this has its place in purpose! A simplified version of PDIA (based on Korten and 30+years of application) is again proving useful in Timor-Leste (East Timor). With vision and effort, T-L’s development partners should be able to coordinate, seize the emerging opportunities inherent in GoTL’s current decentralisation and the PDIA approach, grow their partnership with ministries and their authorisation for wide-scale and urgent rural development. Deeply appreciate the opportunity to continue to learn from the wide field already involved in DDD, from the analyses of academics to the experiences of practitioners.